LONDON The BBC faced growing fallout Monday over sexual abuse allegations against a popular children's TV entertainer, as Prime Minister David Cameron accused the broadcaster of changing its story about why it killed a news segment on the accusations. The powerful broadcaster tried to stem the damage, saying in a statement that a top editor had stepped down from its BBC Newsnight program after he was found to have given incomplete, inaccurate explanations for the decision to keep an investigation of the late Jimmy Savile from being broadcast in December. The scandal is one of the worst to rock the BBC, long a key player in British public life and often cited as one of the most trusted sources of accurate, unbiased information. "The BBC is a public service broadcaster that depends on the public trust, and anything that suggests it hasn't been truthful undermines that trust," Conservative Party lawmaker Rob Wilson told The Associated Press. "That's why this is such an important issue for them." 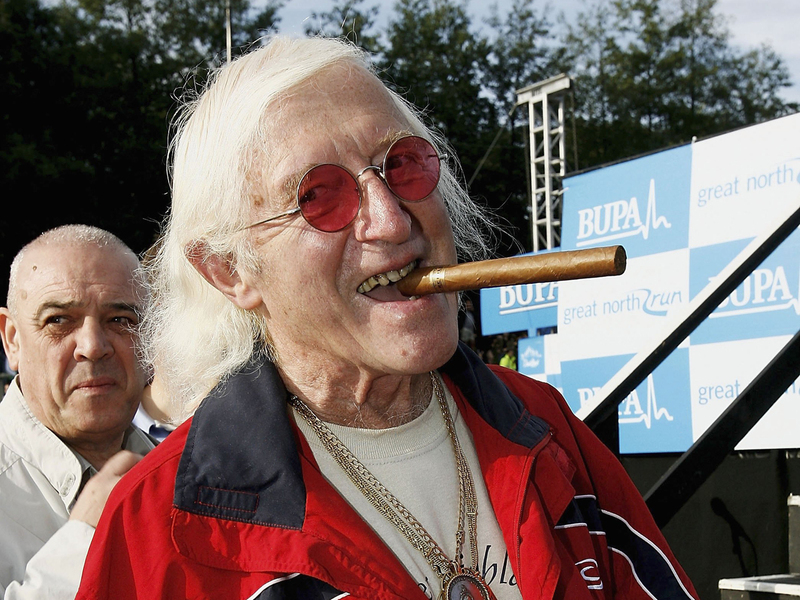 Police are investigating accusations against Savile and say there may be more than 200 potential victims of the entertainer, the longtime host of the BBC's "Top of the Pops" and "Jim'll Fix It," recognized for his garish track suits and platinum hair. The BBC's tough statement about editor Peter Rippon deepened the suspicion that there had been a cover-up. It is suspected of pulling the Newsnight segment because of its harsh portrayal of Savile, who was hailed as a popular fixture in children's TV when he died at 84 last year. Wilson said the BBC has tried to evade responsibility for its long tolerance of Savile. "They were sidestepping the story, hoping it would go away," he said. "The BBC was saying the cultural issues that led to this were in the past, but when we saw BBC looking at the Jimmy Savile issue and finding out uncomfortable things, they appeared to want to cover it up." The BBC's backtracking prompted unusual criticism from the prime minister. "The nation is appalled, we are all appalled by the allegations of what Jimmy Savile did and they seem to get worse by the day," Cameron said, accusing the BBC of changing its story about why it decided not to broadcast the piece. Tim Burt, a managing partner of the Stockwell Communications crisis management firm, said the BBC faces a major blow to its reputation at a time when it is entering delicate negotiations with the government about the terms of its charter. "So to have a civil war inside on a matter of editorial judgment and the handling of potentially criminal investigations could not have come at worse time," he said. The BBC plans to air its own investigation into its actions on a show Monday night. Rippon is the first BBC figure directly blamed for the broadcaster's failure to properly report on the abuse claims. He is stepping down immediately for the duration of the investigation. The BBC Trust, the corporation's governing body, conceded there had been "inaccuracies in the BBC's own description of what happened in relation to the Newsnight investigation." The BBC says Rippon's explanation of his decision in a blog post earlier was "inaccurate or incomplete in some respects." The BBC is publicly funded through its license fees and various commercial enterprises; it enjoys a large degree of independence from the government but is subject to legislation passed by Parliament. Bob Calver, a lecturer in broadcast journalism at Birmingham City University, said the BBC can expect harsh treatment at the hands of Britain's newspapers, particularly those that are part of Rupert Murdoch's News Corp. empire, which has been shaken by revelations about criminal phone hacking by its reporters. "The print media will not let this story go," he said. "Because BBC was not implicated in the phone hacking scandal, it was pointing the finger at the print media, which has long felt that the BBC is smug and gets special treatment. This is an opportunity for the print media to come back at them." In a statement released Monday, the BBC cited three problems with Rippon's initial statements about why the segment was not aired. The BBC said Rippon's blog indicated that Newsnight staff had no evidence against the BBC when in fact there were allegations that some of the abuse happened on BBC premises. It also faulted Rippon for saying that all the abuse victims interviewed by the program had told police about the abuse, when in some cases the women had not done so, meaning that police were "not aware of all the allegations" against Savile. In addition, the BBC said Rippon had indicated that there was no evidence that anyone working at the Duncroft school for emotionally disturbed girls was aware of allegations that Savile had abused girls there, when in fact there were indications that "some of the Duncroft staff knew or may have known about the abuse." The Crown Prosecution Service also revealed Monday afternoon that it had received reports from four women who complained in 2009 that they had been abused by Savile in the 1970s but did not recommend that the cases be brought to trial. Prosecutors had previously admitted only one such case coming to their attention. The entertainer was still alive and could have faced criminal charges. "The original allegation was that Savile had indecently assaulted a girl under 16 at Duncroft children's home in the late 1970s," said the prosecution statement. "The three further potential offenses were an alleged indecent assault on a girl under 16 at Stoke Mandeville hospital in or around 1973; an alleged incitement of a girl under 16 to engage in a sexual act at Duncroft children's home in the late 1970s; and an alleged indecent assault on an adult in Sussex in 1970."